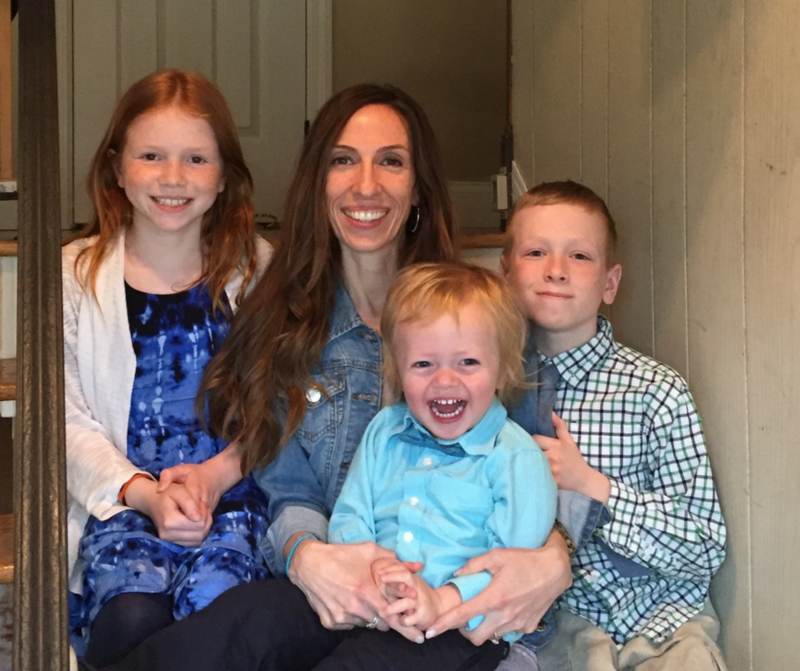 We are so excited to announce Dawn as our July Mom of the Month! Dawn has always been an active runner. She joined our Body Back Transformation session in the spring and had truly AMAZING results! She figured out a plan to balance out workouts with her work schedule, prepare healthy meals for herself and family and stayed accountable to the meal plan. She gained strength and friendships in her session. She always has a smile on her face and is an awesome cheerleader for the moms in our classes. Congratulations Dawn! We are so happy to have you in our village. What was your childhood ambition? Hmmmmm, I can tell you what it wasn't. If anyone told me growing up I'd end up being a MATH teacher, I'd tell them to get the heck out you know where, I hated Math because I struggled with it! Maybe that's a good thing in relating to student struggles. I fell on teaching, it was never intended. What does motherhood mean to you? The absolute greatest, most cherished gift I've ever been given and the job I'm most in love with, committed too and strive to be better at every NEXT MINUTE I get! How as FIT4MOM changed your life? It has taught me that I can work out in a new way, that I don't NEED a GYM. It has been the platform I'd needed to get back to me, to discipline, to a renewed energy and excitement for fitness, friendship, fun and the MUCH needed support we as Moms NEED! Proudest moment: Setting the goal in high school to work at one of the "Big 8 Accounting firms" and by the time I graduated college there were 4 and I was working at one of them!